If you're planning to be in Tokyo over Golden Week, you will be spoiled for choice of what to do with special events in every corner of the city. Apparently many Tokyo-ites choose this week to go to the movies, but there's much more out there to see and do. On a platform in front of the Shibaraku statue behind Sensoji Temple, sumo wrestlers will square off holding babies -- the first baby to cry is the winner of the match. The matches continue until the wrestlers run out of babies. The crying, preferably loud and long, is thought to be the baby's call for good health. Access: 5-minute walk from Asakusa subway station. Centered on the Edo-Tokyo Museum and nearby Kokugikan, this festival was started as a means to revitalize this shitamachi neighborhood. A stamp rally provides a self-guided walking tour of various sights in the area. Street performances and various types of chanko nabe (the favorite food of sumo wrestlers) will fill both days of the festival. Access: 2-minute walk from the west exit of JR Ryogoku Station or exit A4 of Ryogoku subway station. This area is known for its shoe making and for this festival local shoemakers bring their wares for a special "thank you" sale. Lots of other leather goods also available. There will be a procession with portable shrines in the shape of men's and women's shoes and also a special "thank you" ceremony for old shoes. There will also be a prize raffle. 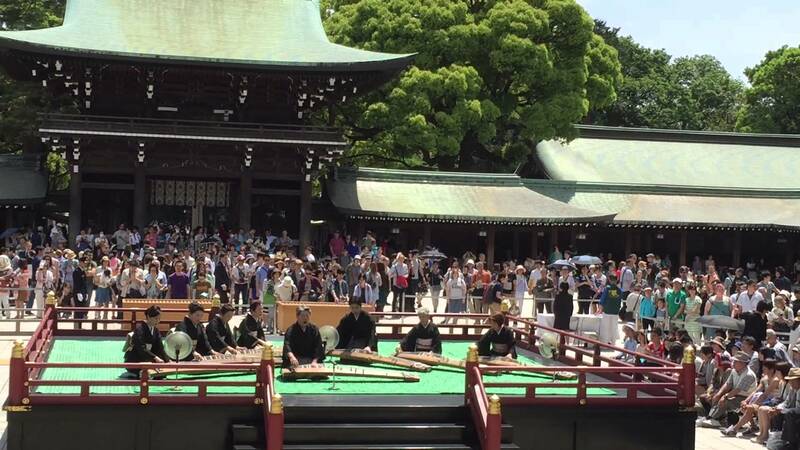 A number of Shinto ceremonies and classical performing arts will be performed at a special platform erected inside the cloisters of Meiji Shrine. The Shinto rites, including Kagura dancing by shrine maidens, will take place at 10 am and 2 p.m. on each of April 29, May 2 and May 3. Bugaku music at 11 on April 29, Noh and Kyogen dancing at 11:45 and Hogaku and Hobu drama at 3:45 on May 2, Sankyoku music at noon and biwa music at 2:30 on May 3. Access: 5-minute walk from Harajuku Station. Nezu Shrine's 300 year old azalea garden contains around 3,000 azalea bushes, making it a riot of color this time of year. Food stalls, antique sellers and a plant fair will also be on the shrine ground. On the public holidays there will be taiko drumming at noon and dancing and other performances at 1 p.m.
Access: 5-minute walk from Nezu, Sendagi or Todaimae subway stations. Located in Fuchu, Okunitama Shrine is one of the oldest in the area. Its annual festival is largely a nighttime event (kurayami means darkness), although there are food stalls and a plant fair during the day and into the evening each day of the festival. There will be horse racing on the Koshu Kaido on the night of May 3 while riders are dressed in period costume. There will also be a parade of festival floats on the nights of the 3rd, 4th and 5th (on the 5th the parade lasts overnight) as well as taiko drumming on the nights of the 4th and 5th. Access: 5-minute walk from either Fuchu Station or Fuchu Honmachi Station. Okay, so you wanted to go to Hawaii for Golden Week but couldn't get tickets. 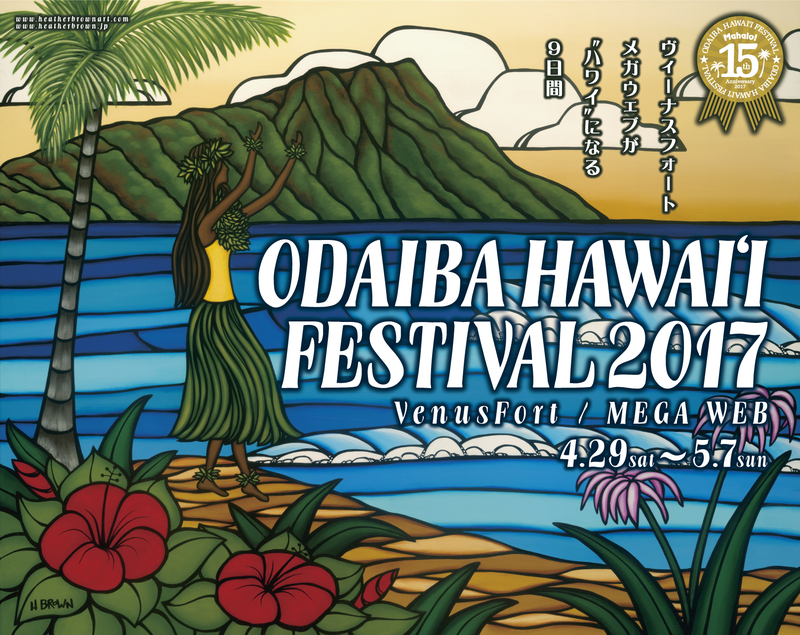 Well, you can go to Odaiba for Venusfort's 15th annual Hawaii Festival instead. This year's theme is "Mahalo". The schedule of events is too extensive to detail here, but expect hula, ukelele, and other cultural performances at around noon and 3 p.m. daily as well as how-to workshops at other times. Sales of Hawaiian food and other products, too. Access: 3-minute walk from Tokyo Teleport subway station or 1 minute walk from Aomi station on the Yukamome line. The plaza in front of Tokyo Tower is filled with 333 traditional carp streamers (in commemoration of the 333-meter height of the tower). Access: 5-minute walk from Akabanebashi subway station or 7-minute walk from Kamiyacho subway station. One of Tokyo's great 18th century samurai strolling gardens, this time of year the azaleas provided an added dimension to this already stunning park. During Golden Week one hour guided tours (in Japanese) will be offered at 11:00 and 14:00 daily. Admission: 300 yen for adults; 150 yen for seniors; children up to junior high school are free. Access: 7-minute walk from Komagome Station. With over 50 wisteria vines trained onto trellises, this is said to be Tokyo's best spot for wisteria. There will also be various traditional performances in the afternoons throughout Golden Week. Access: 15 minute walk from the north exit of either Kinshicho or Kameido stations. 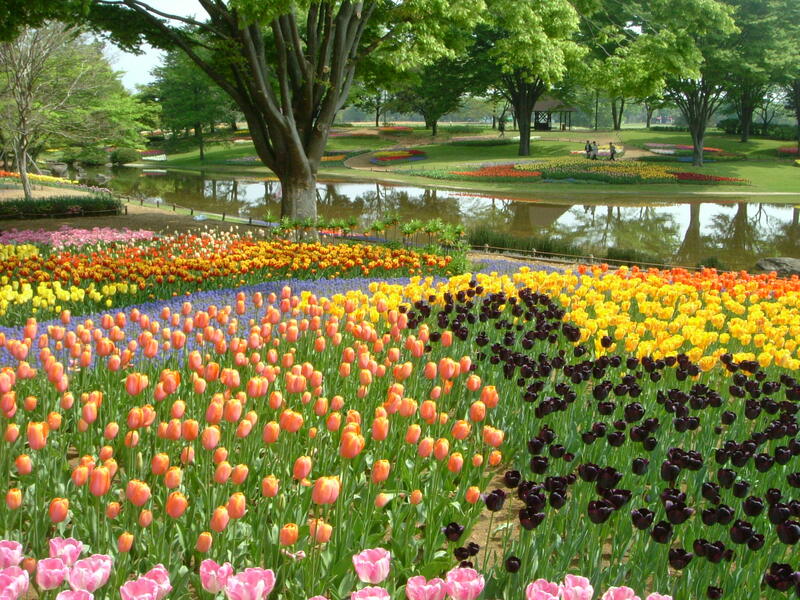 Known as an oasis of flowers, the park is planted in various seasonal flowers that will bloom each in turn throughout the spring, with various special events relating to each flower variety. Check out the guided Segway tours, too! Admission: 410 yen (80 yen for children; 210 yen for seniors); free admission on April 29 (the late Showa Emperor's birthday) and May 5 (Children's Day). Hours: 9:30-17:00 (Green Cultural Zone open until 18:00). Access: 2-minute walk from Nishitachikawa Station. It stands to reason that a mountain covered with deciduous trees would celebrate prima vera. The festival takes place in the plaza at the foot of the ropeway and chair lift station. There are street performances and traditional music, as well as local puppetry. And, inevitably, wonderful festival food. Access: 2-minute walk from Takaosan-guchi Station. A special exhibit at the Sumida Hokusai Museum features Hokusai's five series of prints of the Tokaido created during the first decade of the 19th century. His attention to detail reveals life in Japan of that period. Admission: 400 yen (300 yen for students and seniors). Hours: 9:30-17:30 Tuesday through Sunday. Access: 5 minute walk from Exit A3 of Ryogoku subway station; 9 minute walk from the east exit of JR Ryogoku station. Vicki L Beyer, a regular Japan Today contributor, is a free lance travel writer who also blogs about traveling in Japan. Find her blog at jigsaw-japan.com.